Closed on Saturday and Sunday. 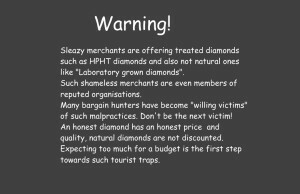 Professionals don’t work weekends and the Diamond Exchanges are also closed on weekends so your available choices are also far more limited! Antwerp is the world centre for diamonds supplying thousands of professionals, not to be confused with shopping around for a pair of shoes or a dress on your local High Street on a Saturday. Please don’t send us budgets like 3,000 to 6,000 as such a wide range is unrealistic. The gentleman wants to spend 3,000 € but the Lady expects him to spend 6,000 €. Narrow it down to a -real- budget. If you have no clue then contact us before sending this form. No budget = no appointment. Why ? 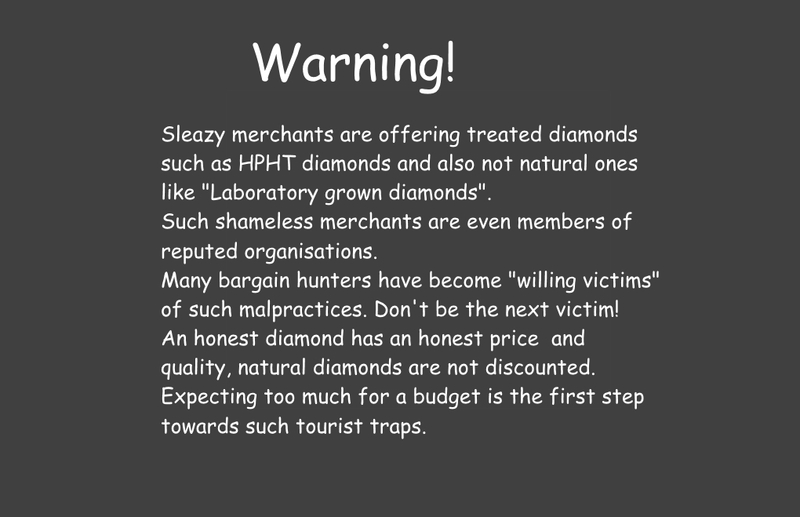 Simply because we need to prepare your visit and you need to be prepared in order to avoid disappointments and become the victims of sleazy merchants. 1ct is expensive, it cannot be purchased for only 3,000 € unless you don’t mind a very low quality or a treated diamond? You only need a quote, no appointment ? Refer to the special form for quotes only. (This field is mandatory to determine the realistic relationship between cost and the project you are requesting.